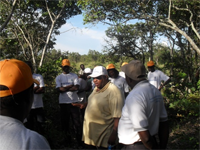 In Zambia like many other countries is concerned about sustainable use and management of its natural resources which also includes forests and general environment. Zambia, as a developing country is highly dependent on the exploitation of natural resources for the livelihood of its people. Since the early 1980, Zambia has witnessed rapid degradation of its biological resources due to over exploitation which has been caused by a decline in the general socio-economic situation of the country. The major biological resources that have been negatively affected are forests, wildlife and fish. Because of its dependence on biodiversity, Zambia was among the first countries to ratify the convention on Biodiversity, Zambia signed the Convention on 11th June, 1992 and ratified it on 28th May, 1993. 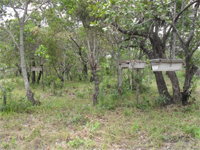 It has been discovered that the forest sector in Zambia is potentially very important to National Development and Human Welfare. For example, wood fuel (firewood and charcoal) is the main cooking energy source for over 90% of the households in the country. The charcoal industry in 1991 was worth 5 billion Kwacha or 2.3% of GDP, while the rest of the forest sector contribute about 3% to the GDP. The roots of trees serve as an extensive net that holds the soil in place, thereby preventing excessive erosion of the soil and its nutrients. In addition to regulating the water cycle, trees regulate local temperature by providing shade, cooling both the soil and the air below the upper branches. Perhaps most importantly, trees provide natural habitat for other life forms such as animals and birds, as a home and a food source. In these and many other ways, trees stabilize and maintain the soil, biodiversity, and climate of the forest. Recently, however, due to the rapid increase in population in Zambia (some 3.2% per year) has resulted in an increased pressure on land, causing a substantial degradation of the forests and vegetation cover of the environment and a general decline in soil fertility. The decline in soil fertility, in turn, has led to a decrease in food production, contributing to prevailing extreme poverty in most of the Zambia’s rural communities. The growing of Tobacco entails the use of curing barns made of wooden poles and grass. The wooden poles and grass are derived from the surrounding natural forests. The demand for wooden poles and grass is very high in the area and has put the forests under heavy pressure. Apart from the wooden poles local people in the area depend very much on the forest for energy requirements such as cooking and heating and because of this there is wood fuel deficit in these areas causing women and children to walk long distances in search of wood fuel. The rapid degradation of the forests woodland ecosystem is also of global concern and is increasingly at risk due to deforestation and encroachment on protected areas. Therefore Deforestation is a major problem in Zambia, with deforestation rates being as high as between 250,000 to 300,000 hectares per year (ILUA 2005-2008), most of the deforestation occurs in the rural areas where Lundazi district falls under Deforested areas are not managed properly to enhance natural regeneration. Annual productivity of regenerating woodland is estimated at 2.5t per ha of which 40% is hard wood suitable for charcoal production. Deforestation carried out by clearing land for agriculture activities, cutting of trees for charcoal production, fuel wood and curing of tobacco is majorcontributor to environmental degradation in Lundazi and Zambia. Inappropriate agricultural practices have increased the rate of soil erosion thereby leading to soil degradation through acidification, nutrient loss, deterioration of structure, salinization, and pesticide and fertilizer pollution. Low awareness on conservation causing uncontrolled bush fires and overgrazing which limit the productivity of indigenous forests in regenerating, late dry season bush fires reduce wood annual increment by 50% (Chidumayo 1993c). It is for these reasons that Rising Fountains Development Program is combating environmental degradation and deforestation by working with poor rural communities to uplift their standard of living while restoring the environment and forests through reforestation. 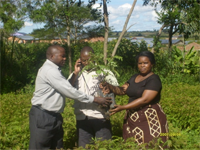 Promote awareness amongst community members, on climate change, the values of forests, woodlands and the importance of sustainable use of natural resources at community and district levels through sensation meetings and radio programs. Conduct Community meetings with local leaders (Headmen, indunas, church leaders) in community based natural resource management (CBNRM). Formation and establishment of community environmental conservation committees (CECC) and School environmental Conservation clubs (SECC) in schools. 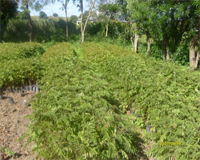 Establishment of woodlots by planting different types of tree species in the communities. 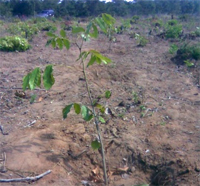 More than 3,000 trees have already been planted in Lundazi district. RFDP will be facilitating the development of community environmental conservation policy and action plans that would lead to the achievement of sustainable land management in the province. 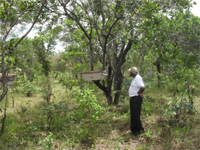 RFDP will be training farmers in beekeeping, apiary establishment and honey processing and marketing.